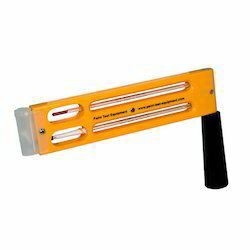 The whirling hygrometer or sling psychrometer are often used to measure wet bulb (Twb) and dry bulb (Tdb) temperatures which can then be used to determine the relative humidity (RH). Our customers can avail from us a wide range of Whirling Hygrometers. 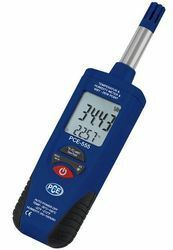 These are designed for whirling wooden/Plastic frame and provides accurate readings. Filled with quality mercury, our range of hygrometers is demanded by our wide customer base. Also, these whirling hygrometers are provided with case and humidity chart. Pair thermometers mounted on a plastic or wooden plate to measure wet and dry bulb temperature to compute relative humidity. We are the Leading Supplier of Whirling Hygrometer (Psychorometers).